The season of tanning is here! Tanning is the process of darkening of the skin caused due to exposure to sunlight or tanning beds. The UV rays emitted by the sun cause increased melanin (pigment which gives our skin color) production in the body which tries to protect us from the radiations. • Apply sunscreen whenever you have to go out in the sun. Make sure you re-apply it every 2 hours. • Carry an umbrella with you to provide shade and cut off the sun's rays. • Wear full sleeved and full-length clothes to avoid exposure of the skin. • Avoid going out in the afternoon when it is the hottest. • Wash your face as soon as you reach your destination to clean the dirt off. Removing a natural tan completely is not possible. However, you can try these simple methods. • Rub ice cubes or slices of cucumber on the tanned area. This helps in reducing the tan and keeps the area cool. • Soak or rub the affected areas with lemon juice, made of lemon and water, for 15-20 minutes to lighten the skin. Apply moisturizer after washing to avoid drying of skin. • Rubbing a slice of potato, cucumber or tomato has also been found to be effective in lightening the skin. 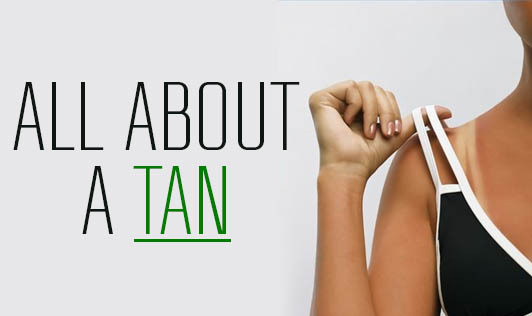 • Aloe Vera helps to cool the burnt areas and lighten the tan. Are you ready to have a tan-free summer?